Remember the promise by President Donald Trump to invest $1 trillion and create new jobs by rebuilding our infrastructure – roads, bridges and power grid? To the inexperienced this sounded like good news. Fewer potholes, less traffic jams, who could ask for anything more? But the devils wrote the details for the 2018 Budget Fact Sheet_Infrastructure Initiative. Experts suggest about 3/4s of proposed funds will go to subsidizing corporations, including many firms, which will reap billions from new and increased road tolls, admission fees, bigger bills for water, gas and electricity. This is the gift that keeps giving to crony capitalists. First $750 billion, then guaranteed annual windfalls. Named “public – private partnerships”, there is nothing public about them, except outcry wherever they have been instituted. 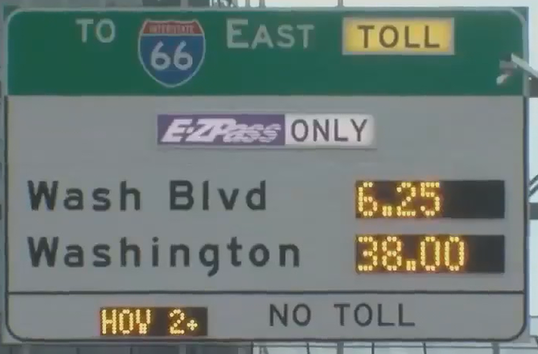 Drivers in the Washington D.C. area already have seen what increased road tolls mean, now that the so-called “fast lanes” for the wealthy vary in price from minute to minute. It must be nice to be rich enough to pay $38 on both your morning and evening commute – about $23,000. That toll total equals what the median American worker gets in annual take-home wages. These partnerships actually are a way to easily move billions in public money into private pockets. Since companies don’t work for free (the government, on the other hand, is non-profit), taxpayers’ costs must increase to allow private profits, or the contractors must lower wages and benefits, or cheapen quality. Trump is a builder, who should understand that there must be purely public structures, not just ad edifices and profit centers like the Walmart Memorial to Lincoln or the Macy’s Monument to Washington, each imposing $50 admission for adults and $38 for children. That obscene price is the type nonsense the accountants conclude the market could bear. Plus – closed two days a week, to avoid costly overtime. Great Britain has been in the forefront of private-public sweetheart deals, and that experience should be a lesson to the statespersons here, seduced by lobbyists and boardroom BFFs. The report of a Parliamentary inquiry said Carillion’s collapse was “a story of recklessness, hubris and greed, its business model was a relentless dash for cash”, and accused its directors of misrepresenting the financial realities of the business. The Specialist Engineering Contractors Group said Carillion’s failure may lead to many other firms collapsing, since some 30,000 small businesses were reportedly owed money by Carillion, which allegedly used ‘delay tactics’ and withheld payments to suppliers, sometimes for as long as 120 days. Parliament’s spending watchdog agency, the National Audit Office, found that privately financing public projects costs as much as 40 percent more than projects relying solely on government money. The office estimates that existing outsourcing contracts will cost taxpayers almost £200 billion for the next 25 years. “These corporations need to be shown the door. We need our public services provided by public employees with a public service ethos and a strong public oversight,” Labour leader Jeremy Corbyn said. One group did enjoy the dried fruits of this privatization. Carillion’s shareholders reaped $670 billion in dividends during the past seven years, and yet the taxpayer will have to pick up the tab if employees are to continue to be paid. Perhaps worst of all, Carillion’s pension shortfall has reached £1.2 trillion, according to Reuters. Will the GOP and Trump temper their plans in light of the British debacle of Carillion and other struggling partnerships? The architect behind this U.S. infrastructure bonanza is Wilbur Ross, of Bilderberg fame, an investment banker, who made fortunes by buying companies, cutting employees, slashing pensions and benefits, then selling the business’ skeletons at huge profits. Commerce Secretary, Ross is the epitome of the Wall Street avarice that Trump opposed in his bid for President, and he is the brains behind allocating $137 billion in tax credits for private investors, who then underwrite infrastructure projects. Ross claimed that over 10 years the credits could spur $1 trillion in investment. And pigs with lipstick can fly. Well, that’s where they got the $1 trillion number to confuse the public. Sell public highways, so private owners can erect toll booths – even on the Interstate system. Privatize municipal water, sewer, electric and public wifi systems, and then allow the new owners to set any price necessary for a yummy return on investment. Subsidize oil and gas firms’ construction of new pipelines and refineries. ‘Sadly, the amount of public money involved in benefiting corporations is already astounding, far more than even this infrastructure boondoggle. A study of just energy subsidies by the International Monetary Fund estimated the total subsidies given to fossil fuels for 2015 was $5.6 trillion – about twice the current assets of the Social Security Trust Fund, which keeps Grandma from the poorhouse until 2034. In a few years when they start pushing poor grandmas off the cliff, will we have privatized the elevation and renamed it?